Why go? Because you have to. 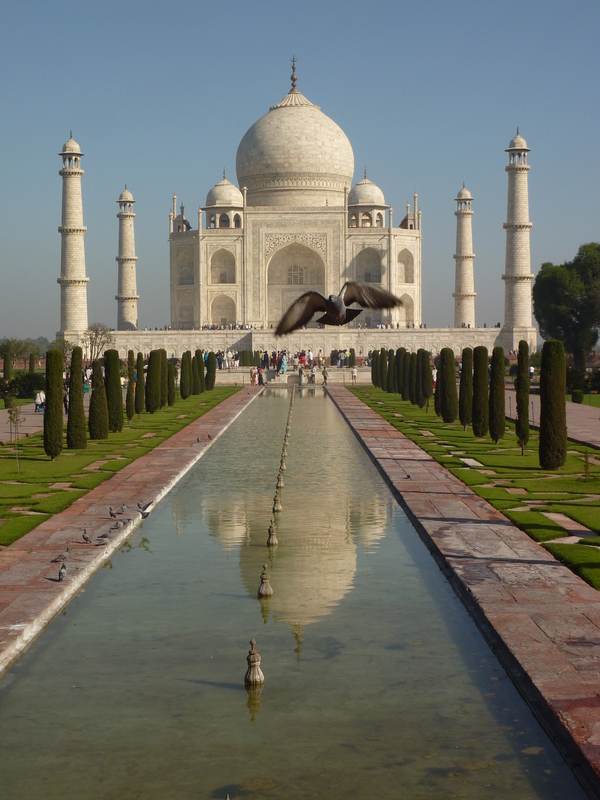 If you arrive home without the mandatory “pinching the Taj” picture, your friends will send you back to India. The Taj Mahal is the iconic image of the nation. Thankfully, it is as demure and magnificent as it’s hyped up to be. While you’re in the area, check out the nearby Agra Fort or the historical city of Fatehpur Sikri 40 kilometers away. Does ancient erotica turn you on? If so, then the Khajuraho Group of Monuments in Madhya Pradesh is the place for you. In total, 85 temples were built between the 9th and 12th centuries during the Chandela Dynasty, though only 20 have survived the test of time. Study up on the Kama Sutra or break out your medieval architecture book – these UNESCO protected wonders are sure to impress all. Forced to flee during the Tibetan uprising of 1959, the 14th Dalai Llama has run the Tibetan government in exile from McLeod Ganj, a suburb of Dharamshala, ever since. Home to the Tibetan Institute of Performing Arts, the Library of Tibetan Works and Archives, and several monasteries, this holy mountain city is a colorful slice of Tibet transplanted to the Indian hinterland. Forget Mumbai and Delhi. If you want to see the real India, warts and all, head to Kolkata (Calcutta). With a population approaching 16 million, Kolkata is India’s second largest city and it feels it. The capital of the British Raj until 1911, Kolkata is a zoo of colonial artifacts, modern amenities, and age-old ideologies. A walk down the chaotic streets of Kolkata is both an explosion and a celebration of human life. Are you ready for Varanasi? Dirty, stinky, crowded, and at times repulsive, Varanasi is oft reported as tourist’s favorite destination in India. Confused? The holiest of Hindu cities, Varanasi hugs the edge of the Ganges River where devotees come to chat, bathe, and, when the time comes, die. 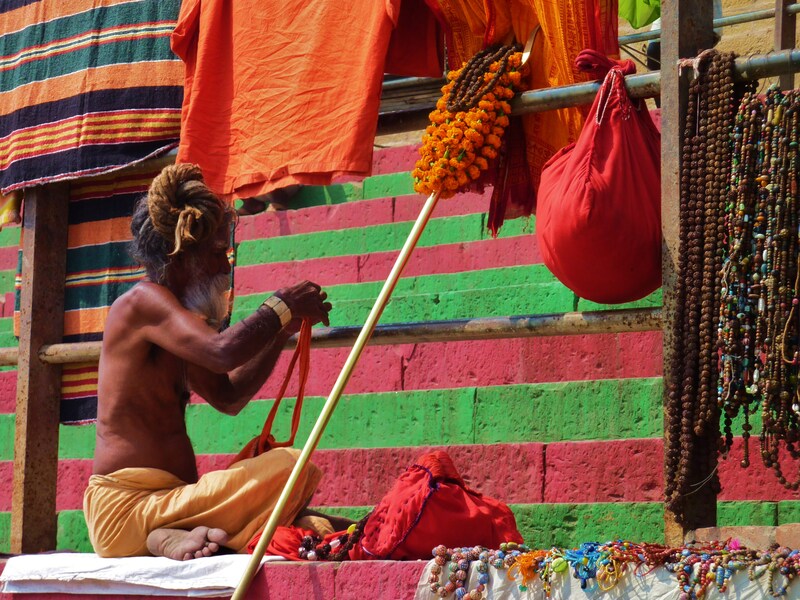 Heightened emotions, colorful rituals, and a total sensory overload make this an unmistakably Indian experience. Cowering in the shadow of the mighty Mehrangarh Fort, Jodhpur’s jumbled streets are a maze of exotic confusion. The “blue city,” as it is known, is a shining gem on the edge of the Great Thar Desert. Explore the medieval bazaars of the old city, sweat through some spicy Rajasthani thali, and embark on a theatrical audio tour of Mehrangarh. Although bursting out of it’s 16th century walls, entering Jodhpur is like stepping back in time to the glory days of the wildly mustachioed Maharajas. If a few weeks in India haven’t turned you into a hippie already, Rishikesh is sure to change that. This holy city at the foothills of the Himalaya is the center of the yoga universe. Old world meets New Age as spiritual seekers flock to ashrams, sort their asanas and chakras, and learn to play the tabla on the edge of the Ganges. Yet, it’s not all meditation and ayurvedic tea. Rishikesh offers plenty of trekking and white water rafting opportunities for those seeking to balance the physical and mental extremes. Though it has been the center of political unrest in recent years, Amritsar’s Golden Temple remains a vital pilgrimage site, drawing millions of visitors to its glittery, gold-plated glory. Sikhism’s holiest shrine, this gurdwara was completed in the early 17th century, but has suffered damage from years of fighting with both Mughal and Afghan forces. Still, it’s glowing walls radiate against the milky white of Amritsar, beckoning your camera for that perfect shot. Bask in the Rajput-era opulence of Udaipur along Lake Pichola and you will soon see why it is called the most romantic city in the East. Historic marble palaces and towering lakeside mansions hint at the grandeur of Udaipur’s glorious past. A hotbed of Rajasthani art and culture, the streets are bustling with miniature paintings, string puppets, and dance shows. Udaipur is a city to be savored. Get tea drunk in India’s premier hill station while gaping at the awesomeness of the Himalaya. Don’t have time to skirt into Nepal? 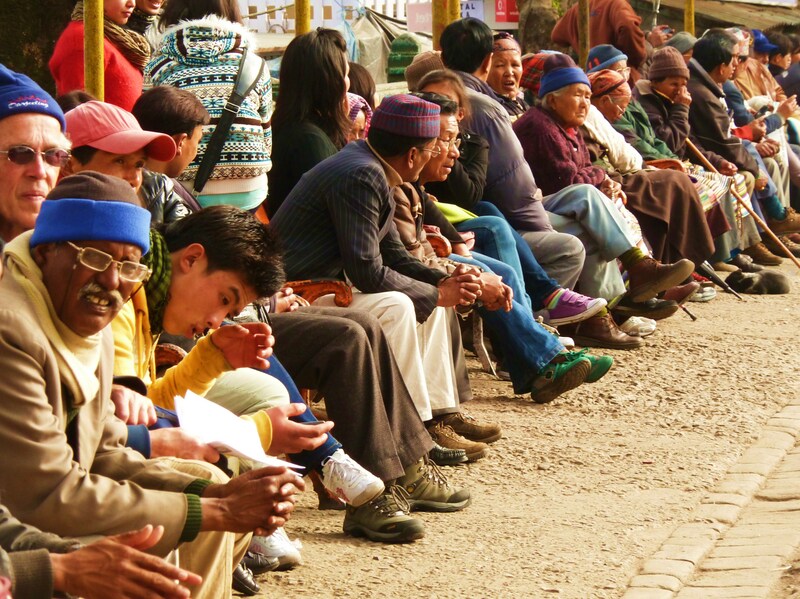 Darjeeling has a diverse Himalayan community of Tibetans, Nepalese, Bhutanese and Bengalis. Home to the Himalayan Mountaineering Institute, the region has several treks, Everest views, and one of the world’s cutest trains. Any more suggestions? Feel free to comment below! Good list. McleodGanj has been my second home for most of the past 2 years, and Darjeeling is on the agenda for late 2012. I spent 2 weeks in Udaipur in 2009 as well, and highly recommend it! Ajanta and Ellora were also very impressive. And the Golden Temple in Amritsar is also a must. Eat at the Langar, with thousand of other people! What about washing Tara, the elephant in Kanha National Park. That is the elephant Mark Shand bought and wrote a book about. Really special and not too many people visit this part of India either. Wow – you’ve just made my trip planning so much more difficult as I want to add all of these destinations to the list! I’m heading to India in January for the first time and hoping to spend 5-6 weeks there. Thanks for the suggestions. I’m looking forward to the rest of your site. Make a choice, if you like India, you will visit again and again and again. For us: after visiting many times (since 1991) we even have taken our children now to see India. Do not rush, better see less and enjoy than see everything half. Take it easy, is my advice. India is not to be taken lightly. You need time to cope. Hope you have a very good time and will also fall in love with this magnificent country.